Malt Mileage has been very fortunate to secure four bottles from the Label 5 range – “Classic Black”, “12 year old”, “18 year old” and “Gold Heritage”. In this review Malt Mileage tastes the Label 5 18 year old which is a blend of malt and grain Scotch whiskies that have matured in oak casks for at least 18 years. The nose presents with dry Spanish cedar, vanilla, cocoa and dark chocolate, roast pumpkin, poppy seeds, honeycomb and creamy undertones with a floral hue. On the palate the whisky is very smooth, with the immediate woody taste of sawdust morphing into earthy hazelnuts, pumpkin seeds, vanilla, pumpkin baklava and some mild fruit with a smoky haze. At mid-palate the sweetness begins to fade, as it is slowly replaced by heavier wood notes and tannins. The finish continues with this woody theme, offering lingering dark chocolate cherry liqueur and toasted coconut as the tip of the tongue dries but curiously a creamy film remains on the centre of the tongue. 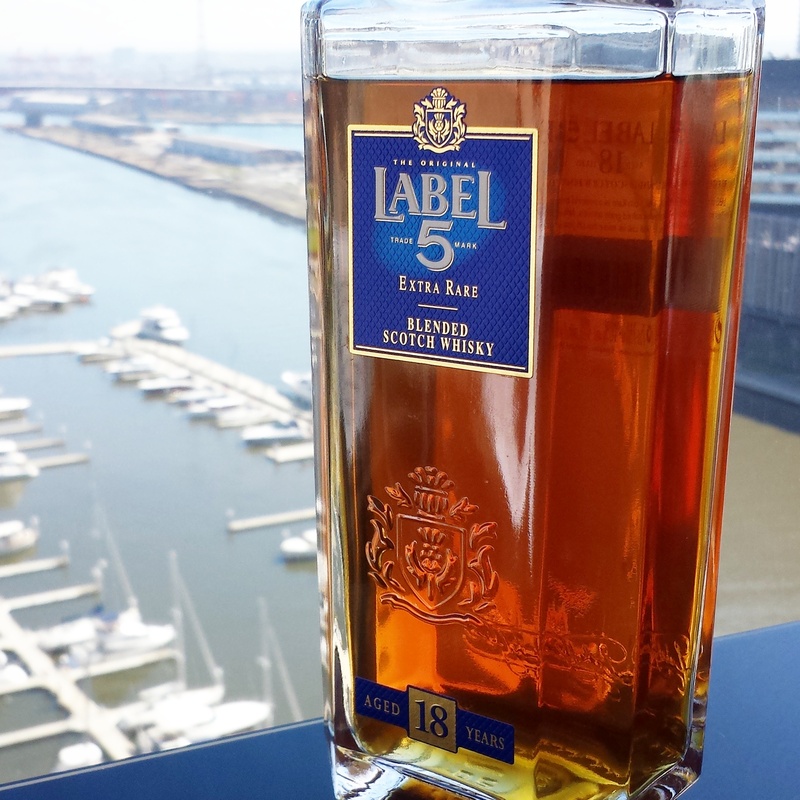 Overall, Label 5 18 year old is a smooth Scotch whisky that errs quite heavily to the woody side. It is a very interesting whisky and lovely on first sipping it, but the woody notes did tend to overwhelm the palate over the course of an evening drink.